Hey parents, allow us to let you in on a little secret: ghosts aren't scary anymore. Neither are zombies, vampires, or werewolves. Kids these days are now desensitized to these classic monsters because they can be seen everywhere. Turn on the TV and there will most likely be a zombie movie on. There's even a cartoon vampire on his favorite cereal, so of course your child rolls their eyes at these traditionally scary costume ideas. But have you introduced your pretty-fearless child to Chucky? Chances are, when your kid finds out about the killer doll's murderous past, he or she will definitely be frightened. Fill them in on the time Chucky got even with Miss Kettlewell or when he turns a game of capture-the-flag into a complete bloodbath! 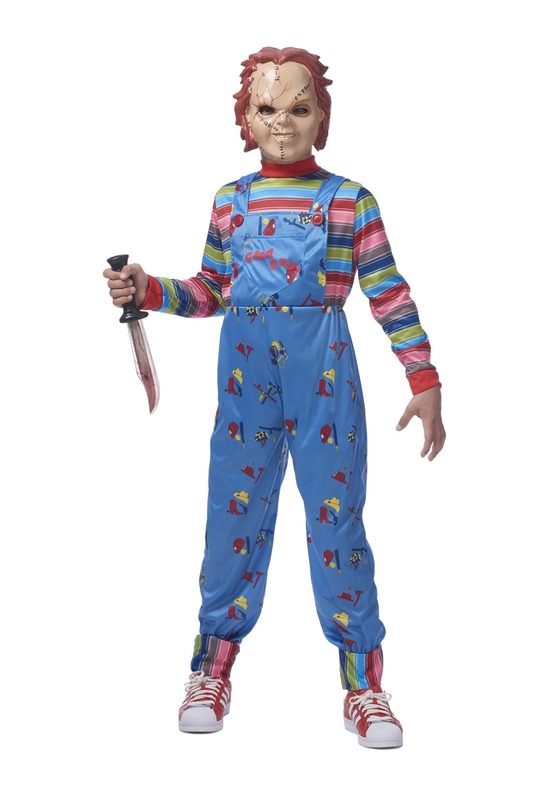 Your child will most definitely be afraid of the little red-headed psycho so if he wants to scare his or her neighborhood friends, this is the costume to go with. Young horror-fans-in-the-making will love wearing the jumpsuit, which is made two look like a pair of denim overalls and a striped long sleeve. The printed overalls are decorated with red buttons and the bottom of the cuffs are striped to match the attached shirt. 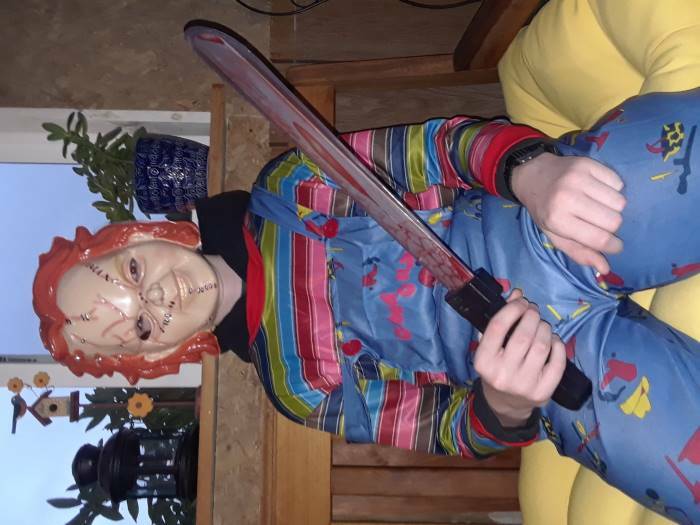 The Chucky mask features stitches, scarring, and fiery hair, making it worthy of causing nightmares. If you deem it appropriate, add a knife prop to your cart and your child will have a genuinely frightening costume he'll be happy with. And remember mom, ghosts and ghouls are for babies! Perfect for the teenager who still wants to dress up!